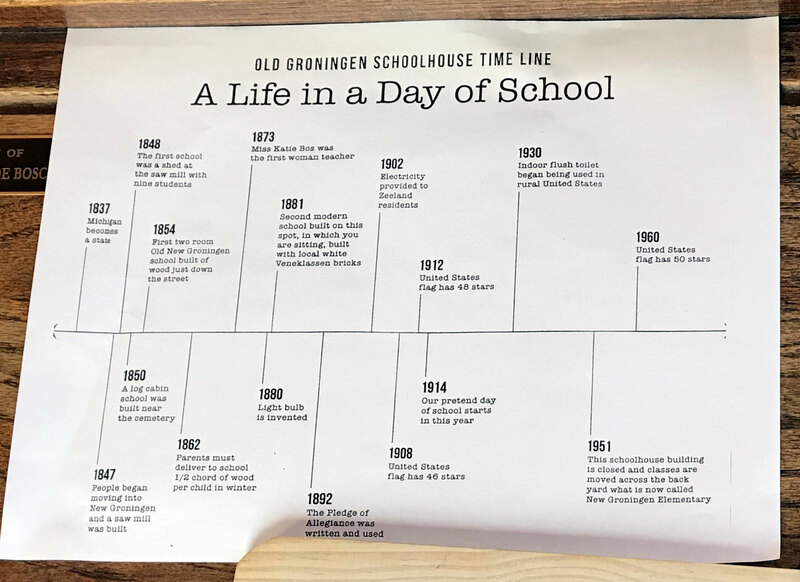 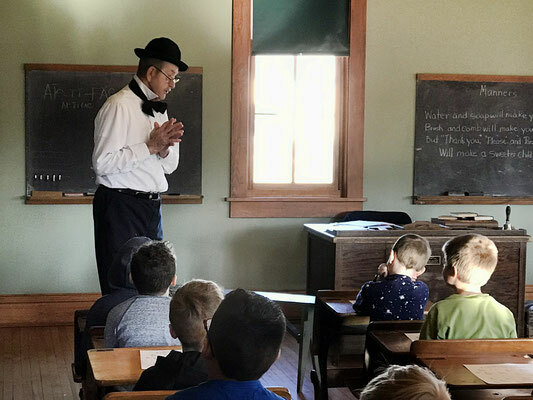 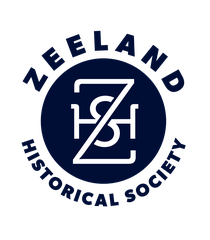 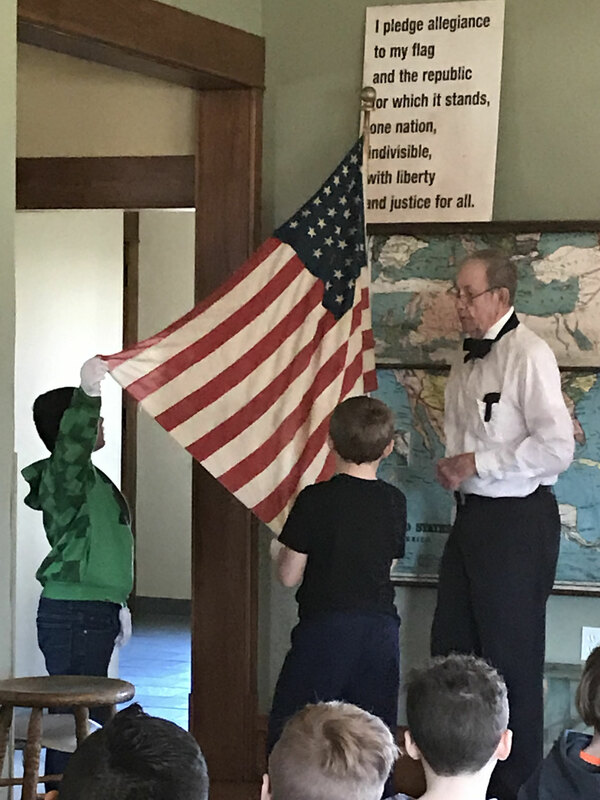 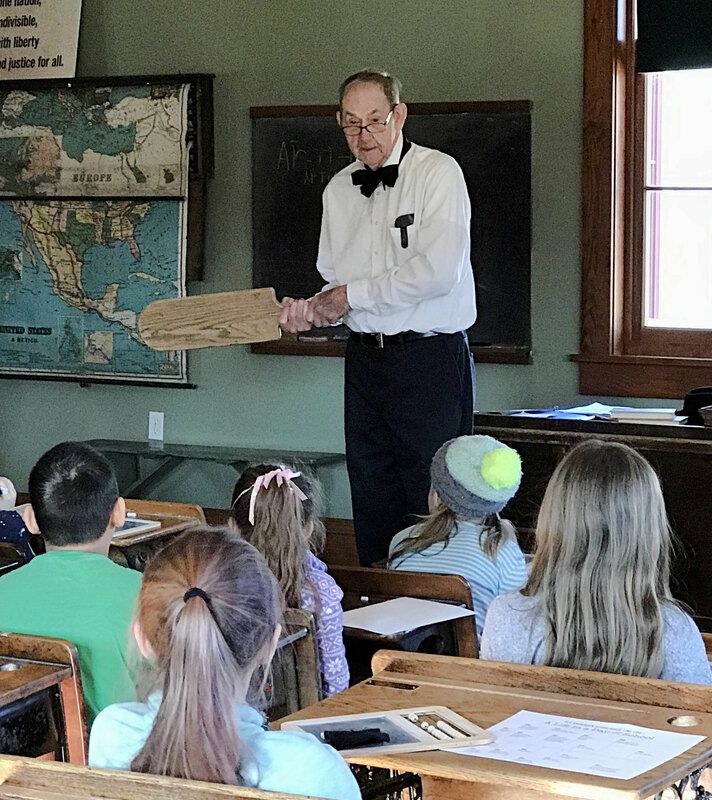 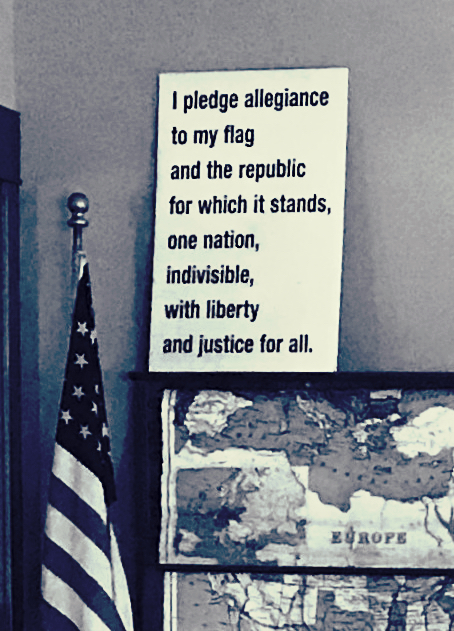 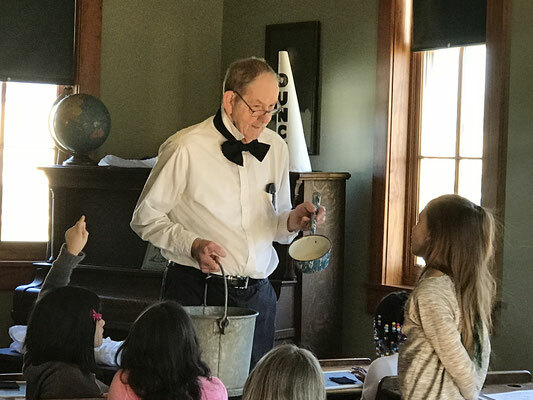 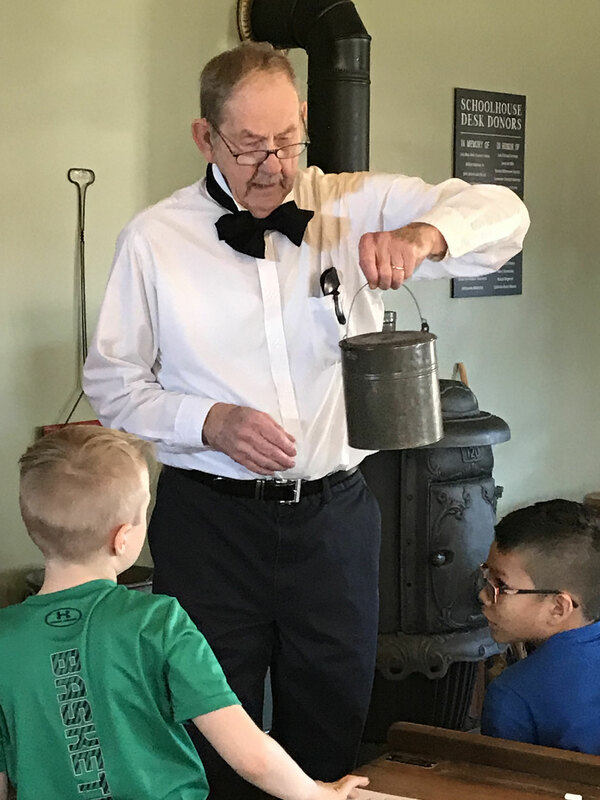 As today's schoolmaster, Mr. Robert Boehm presented the history of one-room schoolhouses in the Zeeland area. 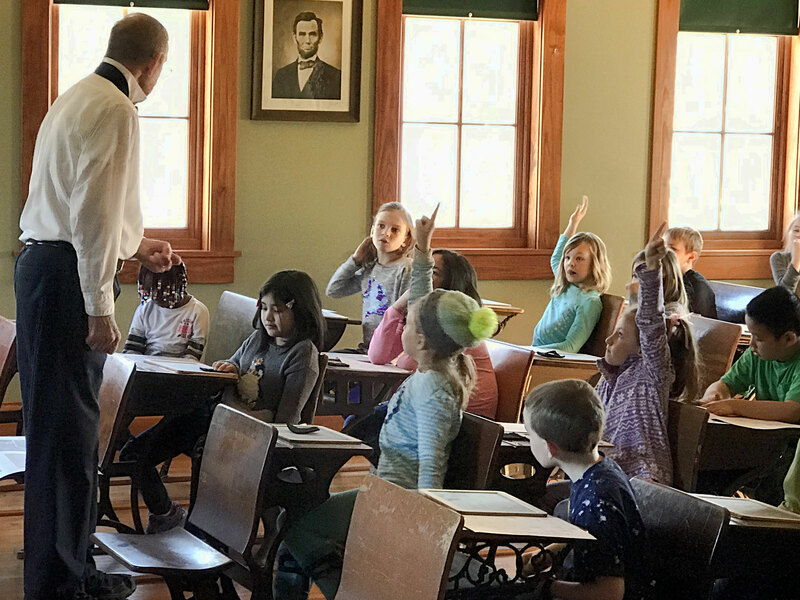 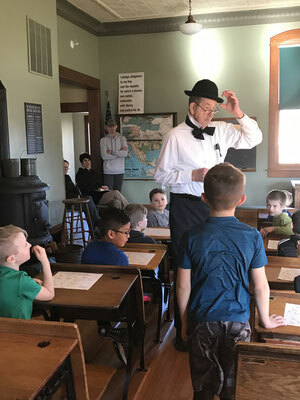 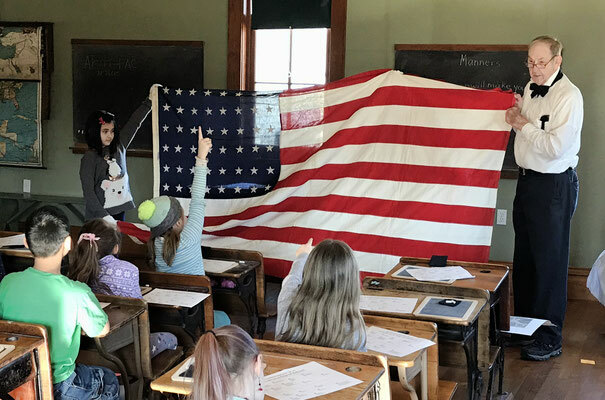 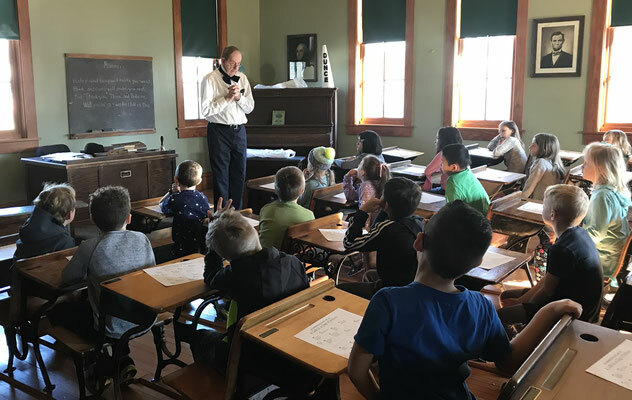 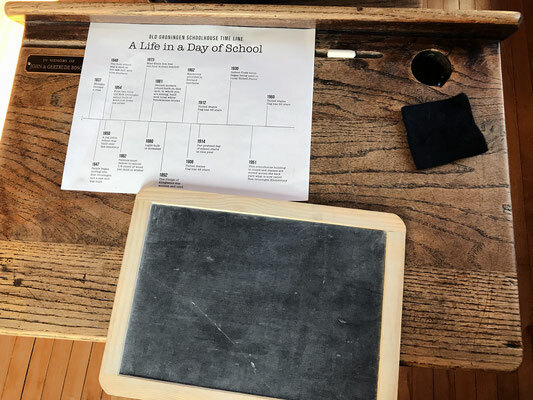 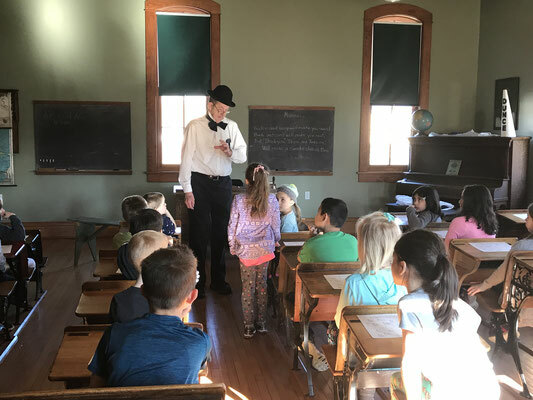 The second graders from Woodbridge Public School learned that the New Groningen Schoolhouse was built on this spot with local Veneklasen bricks. 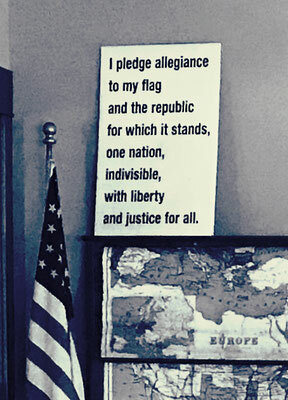 The year was 1881. 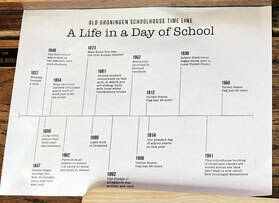 Then, in 1951, this schoolhouse building was closed and classes were moved across the back yard to what is now called New Groningen Elementary.